CIMB Islamic Bank, licensed under Malaysia’s Islamic Financial Services Act 2013, is the main operating entity of the CIMB Group’s global Islamic banking and finance franchise. It operates in parallel with the group’s universal banking platform where it offers Shariah compliant products and services to the group’s wholesale banking, consumer banking, commercial banking and asset management businesses. CIMB Islamic’s products and operations are managed in strict compliance with Shariah principles under the guidance of the CIMB Islamic Board Shariah Committee, which comprises some of the world’s leading Shariah experts or scholars. CIMB Islamic provides comprehensive and innovative Shariah compliant financial products and services to meet the needs of individuals, small and medium-scale enterprises as well as large institutional customers. CIMB Group’s Islamic banking and finance business is supported by the group’s network of over 39,000 staff in 16 countries comprising an experienced senior management team and a global team of Islamic banking and financial services professionals in all core components of the Islamic banking and financial services market. CIMB Group also has the most extensive retail branch network in ASEAN, with more than 900 branches as at the 31st December 2016. Outside of Malaysia, CIMB Islamic operates a universal offering in Indonesia and Singapore with a focus in wholesale banking in the other 14 countries. The Islamic Corporation for the Development of the Private Sector (ICD) is a multilateral development financial institution and is part of the Islamic Development Bank (IDB) Group. The ICD was established in November 1999 to support the economic development of its member countries through the provision of finance for private sector projects, promoting competition and entrepreneurship, providing advisory services to governments and private companies and encouraging cross-border investments. The ICD has an authorized capital of US$4 billion. Currently, the shareholders of the ICD are the IDB (50%), 53 Islamic countries (30%) and five public financial institutions (20%). Providing advisory services to business and governments. The ICD selects the financing projects based on their contribution to economic development considering factors such as job creation, Islamic finance development, contribution to exports, etc. The ICD also provides advisory services to governments and private sector groups on policies designed to encourage the establishment, expansion and modernization of private enterprises, the development of capital markets, best management practices and to enhance the role of the market economy. The ICD operates to complement the activities of the IDB in member countries. The ICD is rated ‘AA/FQ’ by Fitch Ratings, ‘Aa3/P-1’ by Moody’s Investors Service and ‘A+’ by Standard & Poor’s. The Islamic Corporation for the Insurance of Investment and Export Credit (ICIEC) is a multilateral export credit and political risk insurer rated ‘Aa3’ with a stable outlook by Moody’s Investors Service. 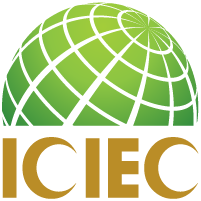 The ICIEC was established in 1994 by the IDB and member countries of the OIC, with an objective to encourage exports from and between member countries as well as to facilitate the flow of foreign direct investment into them by providing and encouraging the use of Shariah compliant export credit and investment insurance/reinsurance solutions. 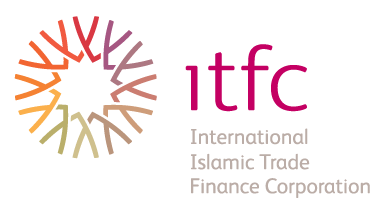 The International Islamic Trade Finance Corporation (ITFC) is a member of the IDB Group. It was established with the purpose of advancing trade among OIC member countries, which would ultimately contribute to the overarching goal of improving the socioeconomic conditions of the people across the world. The ITFC commenced operations in January 2008 and has since consolidated all trade finance businesses that used to be handled by various windows within the IDB Group. Earning an ‘A1’ rating from Moody’s Investors Service reflects the ITFC’s efficiency in service delivery by responding swiftly to customer needs in a market-driven business environment. Since 2008, the ITFC has provided more than US$40.2 billion of trade financing to OIC member countries, making it the leading provider of trade solutions for the needs of OIC member countries. With a mission of being a catalyst for trade development among OIC member countries and beyond, the ITFC helps entities in member countries gain better access to trade finance and provides them with the necessary trade-related capacity-building tools, which would enable them to successfully compete in the global market. 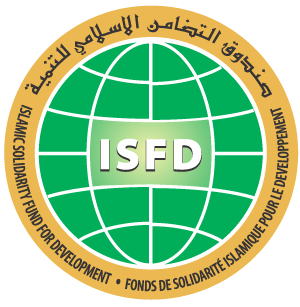 The Islamic Solidarity Fund for Development (ISFD) is the poverty alleviation arm of the IDB Group and was established as a special fund within the IDB to reduce poverty in its member countries by promoting pro-poor growth, emphasizing human development, especially improvements in healthcare and education, and providing financial support to enhance the productive capacity and sustainable means of income for the poor. Headquartered in Jeddah, Saudi Arabia, the fund was officially launched during the 32nd Annual Meeting of the IDB Board of Governors held on the 29th-30th May 2007 in Dakar, Senegal. The fund was established in the form of a Waqf (ie trust), with a principal target capital of US$10 billion. All IDB member countries are expected to announce their financial contributions to the fund and extend technical and moral support to its operations. Two overarching themes, in line with the IDB Vision 1440H, define the focus of the ISFD: Improving and enhancing the income of the poor, and promoting the development of human capital. The IDB Group Business Forum – THIQAH – is the main window which acts as enabler and play facilitation and catalyst roles to connect private sector institutions in IDB Group member countries. The main objective of THIQAH is to establish a unique and innovative platform for dialogue, cooperation and inclusive partnership for business leaders committed to partnering in promising investment opportunities. THIQAH’s vision is to position itself as the leading business platform of the IDB Group serving the private sector in member countries and maximizing the achievements of successful investment projects. The primary focus is on maximizing cross-border investments among IDB Group member countries, with the support of IDB Group’s financial products and services (www.idbgbf.org). The ARLC Group is a synergy of different constituent entities which are as follows: ARLC Amanah, ARLC FinTech, Abdul Rahman Law Corporation and ARLC Solutions. Together, they form a stronghold that caters to different client and industry needs, from trustee and safekeeping services, a complete boutique legal practice (including property and real estate transactions) to seminars and corporate training services. 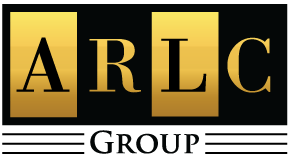 As a group, ARLC also provides expert advice to companies and individuals venturing into crowdfunding and fintech markets, which relates to its ability to cater to the trust aspects of collective investments. While maintaining a harmonious balance between the need for Shariah compliance and the state laws in Singapore, the ARLC Group strives to be the solutions provider for all things legal-related, both in Singapore and the Southeast Asian region. ARLC Amanah is an offshore trust company that seeks to offer trust and safekeeping services for both collective investment schemes and crowdfunding specializing in the Shariah law while simultaneously abiding by the local legal system. In addition, ARLC Amanah aims to provide wealth growth and management for individuals, and serve as a reliable trustee for private family trust funds. ARLC FinTech aims to act as a bridge for any foreign companies choosing to enter into the crowdfunding or fintech industries by providing the technical know-how and expertise in establishing the legal and corporate frameworks. Moreover, with vast experience in localized practices, ARLC FinTech endeavors to provide expertise and due diligence capabilities for fintech start-ups looking to set their footprint in Southeast Asia, mainly in countries such as Singapore, Malaysia and Indonesia. Abdul Rahman Law Corporation (ARLC) offers a comprehensive range of legal services, from estate planning to probate and conveyancing, and even legal advice on Shariah-related matters. Whether the client is an individual or a corporate entity, ARLC promises to uphold an uncompromising standard of legal practice, to not just best serve its clients’ interests and welfare, but the community as well. As a related entity of ARLC, ARLC Solutions offers expertise in areas such as mediation, drafting of legal documents, corporate compliance, as well as training and seminars in Islamic finance and other legal topics. In addition, ARLC Solutions also provides residency programs for individuals who are interested in setting up a business or home in Grenada, Cyprus and Slovakia. The Chartered Institute of Management Accountants (CIMA), founded in 1919, is the world’s leading and largest professional body of management accountants, with over 232,000 members and students operating in 177 countries, working at the heart of business. CIMA members and students work in industry, commerce, the public sector and not-for-profit organizations. CIMA works closely with employers and sponsors leading-edge research, constantly updating its qualification, professional experience requirements and continuing professional development to ensure it remains the employers’ choice when recruiting financially-trained business leaders. 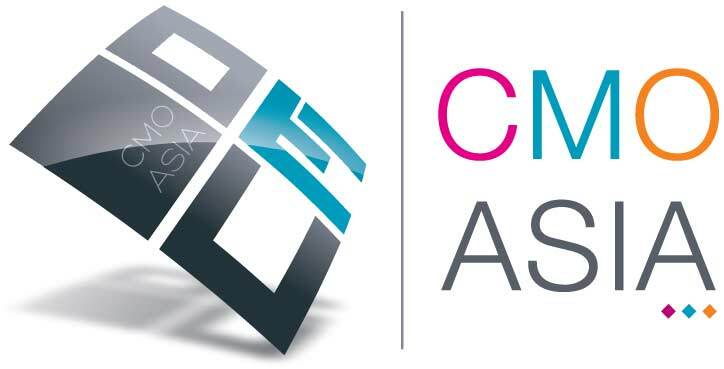 Together with the American Institute of CPAs (AICPA), CIMA has established the Chartered Global Management Accountant (CGMA) designation. CGMA is the global quality standard that further elevates the profession of management accounting. The designation recognizes the most talented and committed management accountants with the discipline and skill to drive strong business performance. The AICPA and CIMA also make up the Association of International Certified Professional Accountants, which represents public and management accounting globally, advocating on behalf of public interest and advancing the quality, competency and employability of CPAs (certified public accountants), CGMAs and other accounting and finance professionals worldwide. Founded in 1998 and headquartered in London, with an office in Dubai and a presence in both Saudi Arabia and Malaysia, DDCAP is a leading provider of asset facilitation services and financial technology and system solutions across a diverse range of Shariah compliant products, asset classes and instruments in both the primary and secondary markets. DDCAP’s wholly-owned subsidiaries include DD&Co and DDGI. DDCAP has an extensive track record within the Islamic finance industry, employing over 35 professionals with broad and complementary skill sets drawn from diverse financial industry backgrounds, focused principally on providing service to Islamic financial market participants around the world. DDCAP has its own Shariah supervisory board comprising esteemed Shariah scholars from Saudi Arabia, Malaysia and Kuwait. DDCAP’s multi-award-winning Shariah compliant ETHOS Asset Facilitation Platform is a bespoke, real-time trade and post-trade services platform providing 24-hour coverage, enabling clients worldwide to purchase from a diverse asset inventory, including commodities, via a secure, web-based portal. FAB is the UAE’s largest bank and one of the world’s largest and safest financial institutions (rated ‘AA-‘ by Fitch Ratings and S&P Global Ratings) and offers an extensive range of products and services. Through its strategic offerings, it looks to meet the banking needs of customers via its market-leading corporate and investment banking and personal banking franchises. FAB Siraj is the global Islamic banking division of FAB which offers a full range of Shariah compliant corporate and investment banking products and services. Headquartered in Abu Dhabi, the bank’s international network spans over 19 countries providing the global relationships, expertise and financial strength to support local, regional and international businesses at home and abroad. FAB Asia connects our customers to trade, capital and people flows across the MENA region, Asia, Europe and intra-Asia with branches in Singapore, Labuan, Hong Kong, India and further representative offices in Shanghai and Seoul. Our Singapore branch serves as the regional office with a focus on corporate and financial institution coverage and trade finance. FAB Hong Kong is a full-service branch that is well located as the gateway to the Northeast Asian region serving as our Asian global markets hub, while our representative offices in China and Korea allow us to better service customers in those two countries. Equities – A web-based platform covering over 40,000 stocks, where fund managers can screen equities using different, custom-built ESG/SRI/Responsible Investments and Shariah rulebooks or guidelines. This solution caters to different purification calculation methodologies with a comprehensive set of reports for fund managers to manage their portfolio. REITs – Global coverage of all listed REITs that could be screened in accordance with different standard Shariah rulebooks or guidelines. Indexes – Co-branded and jointly marketed by FTSE-Russell Indexes and a separate series with Thomson Reuters for the global markets, designed for fund management and investment benchmarking. In addition, IdealRatings is able to provide custom-built indexes for the fund management industry. Brokerage – The solution provides broking houses the ability to screen global equity markets, a technical analysis of the markets and equities, buy/sell/hold recommendations and purification amounts. IFAAS is an international advisory firm specializing in Islamic finance. IFAAS has provided professional consultancy services to over 20 governments, several multilateral organizations and many banks, insurance companies, microfinance institutions, asset managers, corporates and NGOs. IFAAS has helped to build the infrastructure and ecosystem for Islamic finance across many countries including Indonesia, Kenya, Senegal, Morocco, Oman, France and the UK among others, by providing regulatory and strategic advice, capacity-building and awareness. Being a regular supplier of services to many of the world’s leading institutions and a key player in the international Islamic financial industry, IFAAS has also launched over 150 Islamic finance products for its institutional clients spread across five continents. The company operates from its offices in the UK, France, Bahrain, Pakistan and Morocco, providing services dedicated to Islamic finance in English, French, Arabic and Urdu, among others. The Perth Mint (the Mint) is Australia’s largest and most highly accredited precious metals enterprise. Through its diverse operations and trusted products and services, it develops markets and creates demand for Australian precious metals the world over. Operating the leading refinery in the southern hemisphere and the only facility in Australia accredited for gold and silver by the London Bullion Market Association, the Mint maintains endorsements from commodity trading centers in London, New York, Tokyo, Shanghai and Dubai. Each year, the Mint exports US$14 billion-worth of bullion bars and coins to institutional and private investors located in 130 countries and, with a reputation for innovation and excellence, it issues legal tender commemoratives on behalf of the Commonwealth of Australia and surrounding nations for collectors. Wholly owned by the government of Western Australia, the Mint offers the world’s only precious metals investment and storage program guaranteed by a sovereign entity and currently manages US$3 billion-worth of metals on behalf of 30,000 clients. Committed to sharing the remarkable story of gold with the global community, the Mint also hosts a premier tourist destination. Samuel Aset Manajemen (SAM) is widely known as one of Indonesia’s leading fund managers that provides a complete range of asset management services for domestic and international investors and has been consistently delivering above-average returns since 1997. The company is managed by a highly professional and experienced asset management team with a proven track record demonstrated by its ability to weather the Asian financial crisis of 1997/98 and the more recent 2008 global financial meltdown. As of June 2017, SAM manages over US$650 million-worth of assets for its local and foreign institutional and high-net-worth client base. With its consistent performance, SAM has managed to win accolades such as Indonesia’s Best Equity Fund from 2012 to 2015 and 2017 and Best Islamic Balanced Fund from 2011 to 2015. SAM also received the Best CEO 2017 and Most Admired Company 2017 awards from local media. Sarana Multi Infrastruktur (Persero) (SMI) is an infrastructure financing company established on the 26th February 2009 as a state-owned enterprise with 100% shares owned by the government of Indonesia through the minister of finance. SMI plays an active role in facilitating infrastructure financing as well as preparing project and services advisory for infrastructure projects in Indonesia. SMI carries the duty of supporting the government’s infrastructure development agenda for Indonesia through partnerships with private and/or multilateral financial institutions in public-private partnership projects. As such, SMI can serve as a catalyst in accelerating infrastructure development in Indonesia. In line with the government’s plan to transform the company into an Indonesian development financing institution, sectors that can be financed by the company include not only basic infrastructure but also social infrastructure. Sectors that can be financed by SMI include: toll roads and bridges; transportation; oil and gas; telecommunications; waste management; electricity; irrigation and waterways; water supply and social infrastructure. The expansion of electricity infrastructure includes energy efficiency and funding railway rolling stocks. We develop gold-backed solutions, services and products based on authoritative market insight and we work with a range of partners to put our ideas into action. As a result, we create structural shifts in demand for gold across key market sectors. We provide insights into the international gold markets, helping people to understand the wealth preservation qualities of gold and its role in meeting the social and environmental needs of society. Based in the UK, with operations in India, the Far East, Europe and the US, the World Gold Council is an association whose members include the world’s leading and most forward-thinking gold mining companies. Established in 2004, Ary Zulfikar & Partners, known as AZP Legal Consultants (AZP), provides advisory services and assistance to its clients consisting of various groups and organizations, foreign and local investors, as well as individuals in solving their legal issues effectively and efficiently. AZP’s lawyers have accumulated experience and expertise from their involvement in both corporate and legal matters of foreign and domestic companies. Our established relationship with the government is an advantage and we have gained a good reputation in the industry. Our partners are leading experts in their areas of practice, providing legal services to sectors such as: banking and finance; capital markets; construction and real estate; foreign investment; corporate and mergers and acquisitions; labor and employment; intellectual property rights; projects and energy; dispute resolution and arbitration; restructuring and insolvency; micro, small and medium enterprises; and cooperatives. Islamic Finance news is the industry's leading, capital markets focused, e-newsletter bringing you unrivalled editorial coverage every week on the global Islamic financial market. This weekly newsletter provides insightful and intelligent editorial coverage from around the world helping you keep ahead. In addition to a comprehensive weekly review of all the stories from around the globe, interviews, forums, market statistics and data, key industry practitioners contribute via non-biased, educational and up-to-date country and sector reports, giving you a firsthand knowledge and understanding of the Islamic finance markets and instruments from an experts' point of view. Recognizing this information gap, IFN is delighted to introduce to you a bespoke multi-channel platform – IFN FinTech. Leveraging the market-leading expertise of Islamic Finance news and the unrivalled global network of REDmoney Group, IFN CORPORATE is a brand-new monthly publication aiming to revolutionize the commercial application of Islamic financial services through education, information and communication. Designed specifically for the global corporate market, IFN CORPORATE is a simple, sensible and straight-talking summary of Islamic financial instruments, concepts, structures, products and trends that offers an easy-to-understand avenue into the compelling opportunities of Shariah compliant alternatives. Clear, concise and comprehensive, it offers invaluable insight into the Islamic industry and creates an essential platform through which the corporate world and compliant market can communicate. AlHuda Center of Islamic Banking and Islamic Economics (CIBE) is a recognized name in Islamic banking and finance Market for trainings, research and advisory over the last six years. The prime goal has always been to remain stick to the commitments and provide state-of-the-art Advisory Consultancy and Education through various well recognized modes viz. Campus programs, Distance learning programs, Trainings Workshops, Awareness Programs and Islamic Microfinance Products Development all side by side through our distinguished and generally acceptable and known Publications in Islamic Banking and Finance. We are dedicated to serve the community as a unique institution providing trainings, education and consultancy in the field of Islamic Banking & Finance not only in Pakistan but all over the world. We have so far organized more than 300 trainings, 32 successful campus programs and training courses with numerous national and international students. Alpha Journal working with Shoot You combines years of perfecting the art of storytelling through words and video/animation. We set high standards. Our content is designed to entertain and engage. We believe all areas of financial services need a creative way to tell their stories and connect with investors. Through story telling in words and images, Alpha Journal and Shoot You produce accessible information and help clients make positive and informed choices. We help you better communicate with existing and prospective clients – and keep them engaged and interested in what you are doing. We create high quality and trusted content. We help increase understanding and knowledge about what you do and how you do it. Using a mixture of high quality video and animation, we can offer you website and marketing content that will keep investors engaged and help attract new capital. Click for more information and to see a selection of videos and animations. Asia First provides a complete solution for financial professionals and organizations to source, purchase and manage financial news and intelligence products that they need for their business. It is a front-end website featuring extensive free daily and weekly finance news and other resources for professionals, complemented by a corporate back-end procurement platform and marketplace for buying and managing financial publications, data, research and events. Smart search functionality for news and research dedicated to the financial industry. OBG offers a comprehensive analysis of macroeconomic and sectoral developments, including banking, capital markets, energy, infrastructure, industry and insurance. The group’s acclaimed economic and business reports are the leading source of local and regional intelligence, while its online economic briefings provide an up-to-date in-depth analysis. OBG’s consultancy arm offers tailor-made market intelligence and advice to firms operating in these markets and those looking to enter them. SME & Entrepreneurship Magazine is Southeast Asia’s best selling business magazine. Dedicated to business owners and entrepreneurs, SME Magazine, features current news and in-depth analysis, and practical articles and features in everyday language. A rapidly expanding sector, SME companies form the bulk of businesses throughout Asia and is often referred to as the thrust of the new economy. SME Magazine speaks to the owners and entrepreneurs, people at the driving seats of their respective business. With a trendy cover coupled with a creative and refreshing layout, SME is exciting, inspiring and motivating. Driven by an excellent pool of correspondents and contributors, SME Magazine high quality articles are diversified, detailed and written in a way that gives our readers a global perspective while maintaining unique local insight.